Attending PLA and interested in reviewing Enslow books? Then stop by booth # 640 and see what selections we have for you. Friday's choices (as long as supplies last) are Taylor Swift or Paper Crafts for the 4th of July. Don't forget to enter our raffle to win a free 30-inch high stuffed bear. Interested in reviewing a free book from Enslow Publishers? Thursday's selections (while supplies last) are The Devil's Door or There's a Rat in My Soup. Stop by booth # 640 to find out more and receive your review copy. 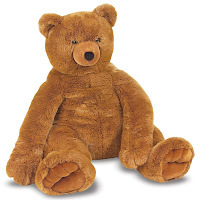 Don't forget about our teddy bear raffle as well!